This book talks about gospel, discipleship. In the course of his work as a vicar, Dave Tomlinson meets lots of people who describe themselves as 'not good enough' to be a Christian, thinking that faith involves going to church a lot, or believing in a list of strange things, or following certain rules. But being a Christian isn't about any of that - and actually, following Jesus is a lot easier, and more fun, than most people think... 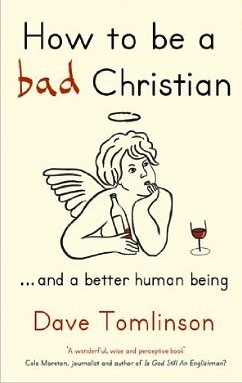 In this handbook to Christianity for people who describe themselves as spiritual but not necessarily religious, Dave sketches out some key practices for how to be a 'bad' Christian, including how to talk to God without worrying about prayer, how to read the bible without turning off your brain, and how to think with your soul rather than trying to follow rules. With beautiful illustrations from artist Rob Pepper, this is an accessible, light-hearted book, but one with a powerful invitation: to be the person you've always wanted to be, following a God you've always hoped is on your side.